For want of an infinitely better title, this page contains all the things I do in case you want to get me to do any of them. I write and perform poetry, and have done so since about 2004. I’ve released one book of poems, City Boy in Blind Spot Trauma, which you can see on the Publications page. 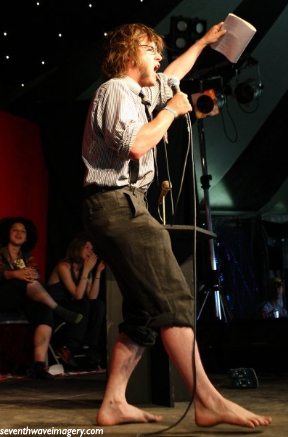 I’ve done poetry gigs in Brighton, London, Glastonbury, and probably several other places as well. In 2007 me and Jimmy McGee set up the world’s first poetry brothel, for which we won various awards, sparked off other poetry brothels in Leicester, Barcelona and New York, and earned enough money to buy ourselves a couple of bottles of gin. My second book of poetry, Fashion Tips for the Last Days, should be released at some point, but I’ve no real idea when. To read some poetry online, click here. 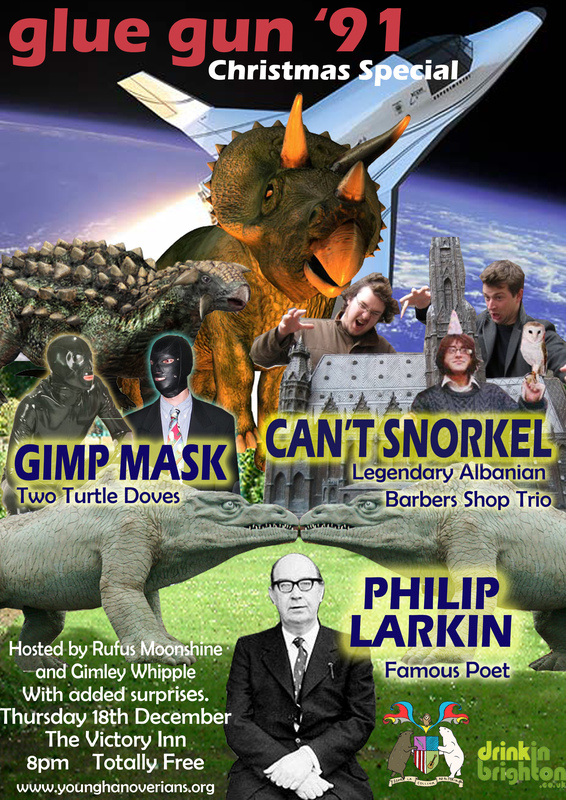 I make posters for various exciting events around Brighton and further afield, and am available if anyone wants some sketchy / bizarre / cheap photoshopping and other such graphic design. My favourite posters were the Glue Gun ’91 ones because I got to put whatever the hell I possibly could on them, but I can do more serious posters, album art, book covers, business cards, etc, if so required. You can take a look at my portfolio by clicking here, hopefully.